I hope you’re doing great food adventuring, exploring, and summer vacationing. (“,) Even with all that excitement, it might be that you’re still on the look out for some new places to eat and achieve food comas at, and while I’ve been on house arrest mostly [as I’m indulging in our latest grocery finds (Cookie Feels, Lay’s Stax spicy lobster chips *crunch crunch), I’ve got a short list of menus from a couple restaurants that we recently visited (because while I’ve been bitten by the lazy bug from feature posts again, we sure ain’t stopping the eating around). First up, the cafe right across from the grocery at CAAA Building. If you’d rather wait for your companions while they do the shopping or a pit stop after a tiring grocery run, this is a nice hang out. The II there is on account of the first ever coffee shop that opened in Constantinople/Istanbul (brings to mind the Rats song number in one of the episodes of The Muppets =)) ) in the late 1400s was named Kiva Han. 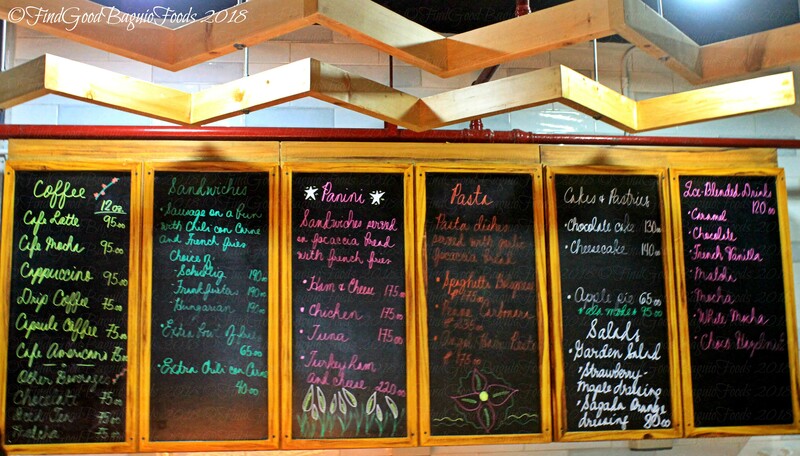 In Baguio City, food trip city, this is our Perryn’s Cafe reinvented. Still with fab selection of coffees, now, with an expanded menu of scrumptious stuff. Nyum, the tapa sandwich and the sauteed marinated beef pasta. A tiny charming cafe that brings to mind playing house what with the small chairs and tables and also, the petite servings of meals. Their fish shanghai did pack a punch though. 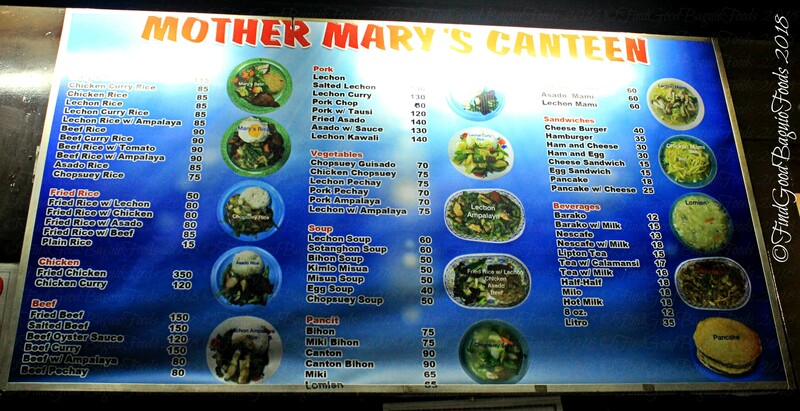 \m/ Not just fish in there but tinapa which added more character to the entire bowl. (Also, not that new.) 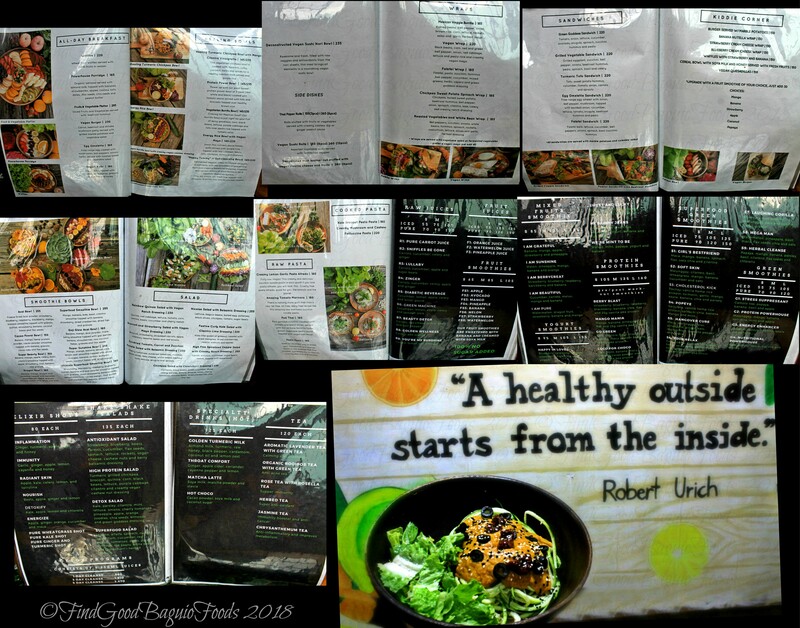 Serving not only smoothies made out of the healthiest ingredients but also veggie meals … so utterly veggie, even I found myself experiencing some sort of withdrawal symptom from meat the instance that we stepped out of this resto. =b The offering is a pretty good selection though. So many mixes and things you can do with vegetables. Get this, they have “raw pasta” … meaning the “noodles” are actually looong zucchini strips. Amazing. Magcocomment na sana ulit ako werlalu ang food blogging goddess pero may post ka na. Welcome back hehehe bet ko yung smoothie. magpakahealthy healthy naman minsan. San ang Superfoods Green Smoothie? Pati na rin yung Kiva Han? The Superfood Green Smoothie is located on Session Road, beside the long staircase going up to Cathedral. Kiva Han II Coffee House is located in St. Micheal’s building Rimando Road corner the road going to Brookside. Cute Little Leigh. Where is this cute cafe? Thank you Xine. Hello, Candy! Cute and petite. 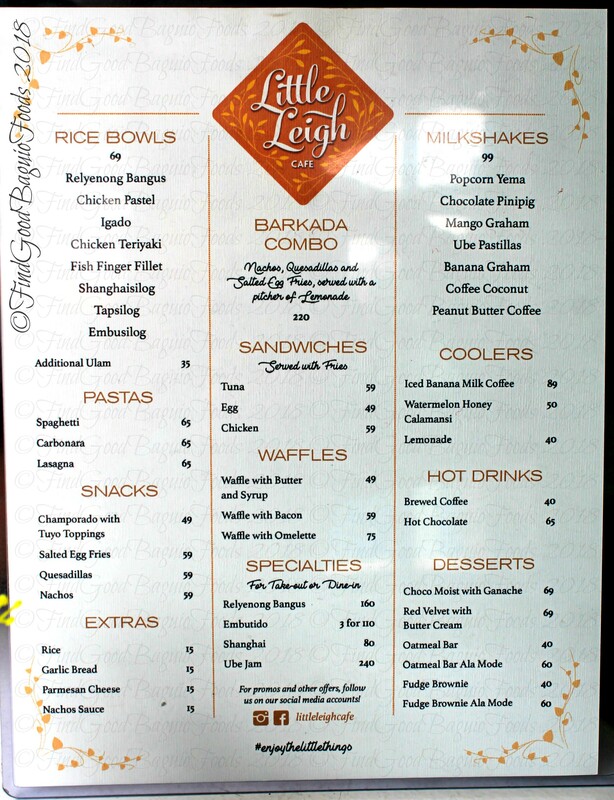 Little Leigh Cafe is located on Honeymoon Road.